Robby Ringnalda was a former door-to-door and used car salesman. 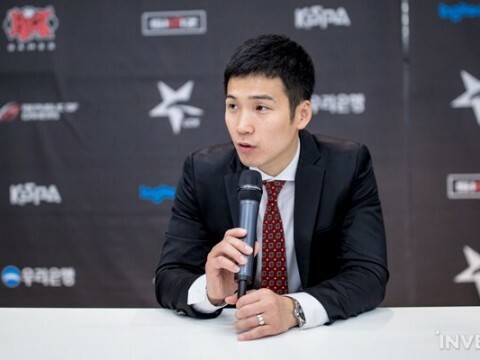 His hobby of gaming was always something he loved and, when he decided to quit college and chase esports full-time, things seemed to be going according to plan. 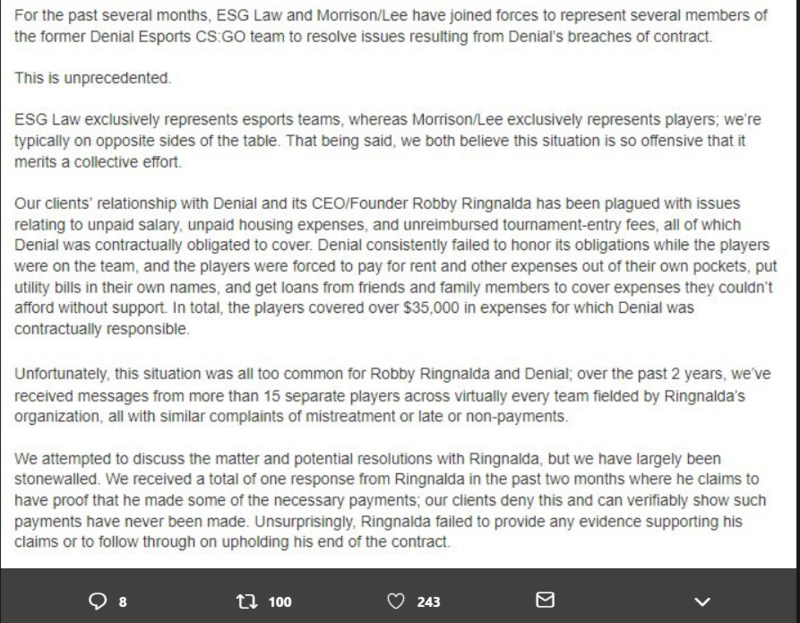 The now inactive Denial esports YouTube channel still hosts the above video about their founder and CEO. It's, essentially, an amateur vlog with a lot of focus on weight lifting. But, somewhere down the line, the CEO and Founder of Denial esports developed a bad reputation that kept getting worse. Players from nearly all of the organization's teams weren't getting paid and no one really knew why. 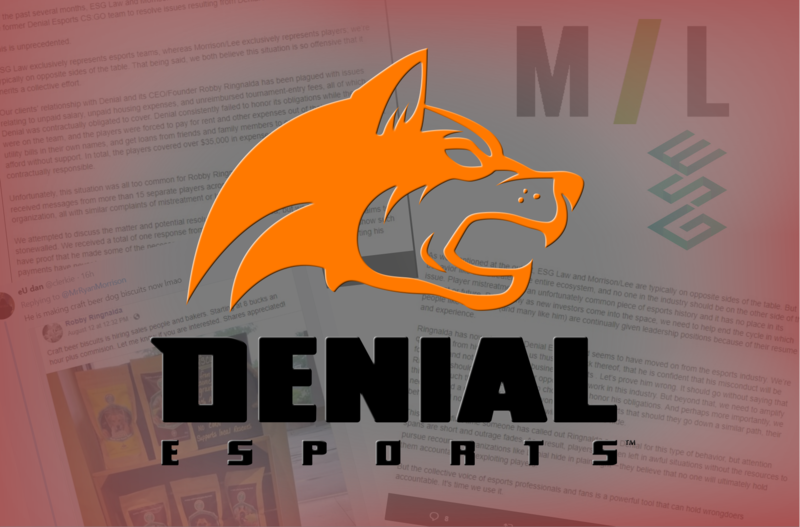 All social media from the team has been inactive since September of 2017, but Denial was still making headlines when Kevin Hitt of VPEsports reported this year that both Dante “Danteh” Cruz and Félix “xQc” Lengyel of Overwatch League fame were still owed money by Ringnalda. Those two seem to have forgotten about it by now, Ryan "Video Game Attorney" Morrison of Morrison/Lee Law and Bryce Blum of ESG Law are determined to make Ringnalda pay all the players he has allegedly cheated. 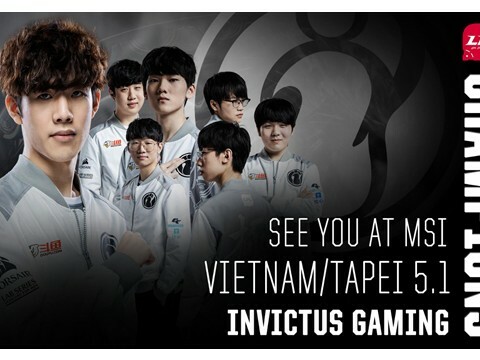 Esports vs. the bad guys. 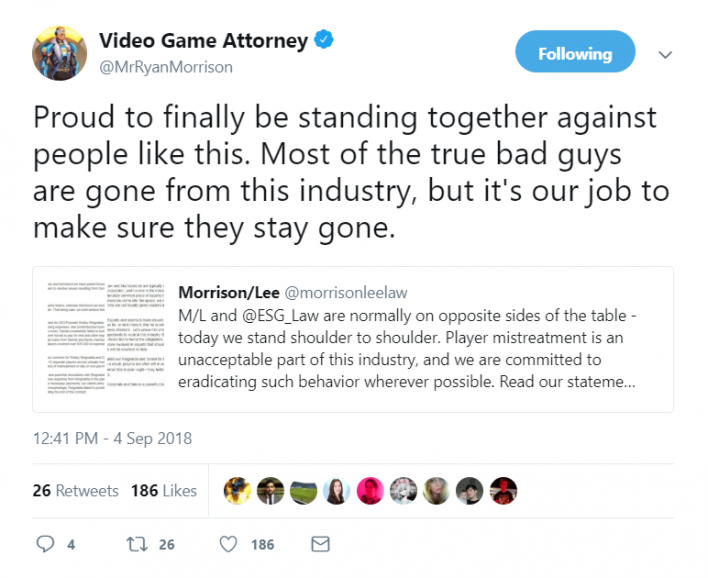 Asking the esports community to "prove wrong" the trend of esports abuse being forgotten about over time, the law duo cited receiving pleas for help from "more than 15 separate players" involving mistreatment or late / non-payments. It's safe to say that, after now attracting the ire of, not one, but two separate esports law firms with significant community pull and popularity, that the prospect of Ringnalda one day returning to the esports industry is very bleak. "I figured If I was going to go and become an entrepreneur and do my own thing I wasn't going to need to pay someone else and teach me how to run my own business. I was just going to learn by doing it -- learn and grow my self and create my own experiences." 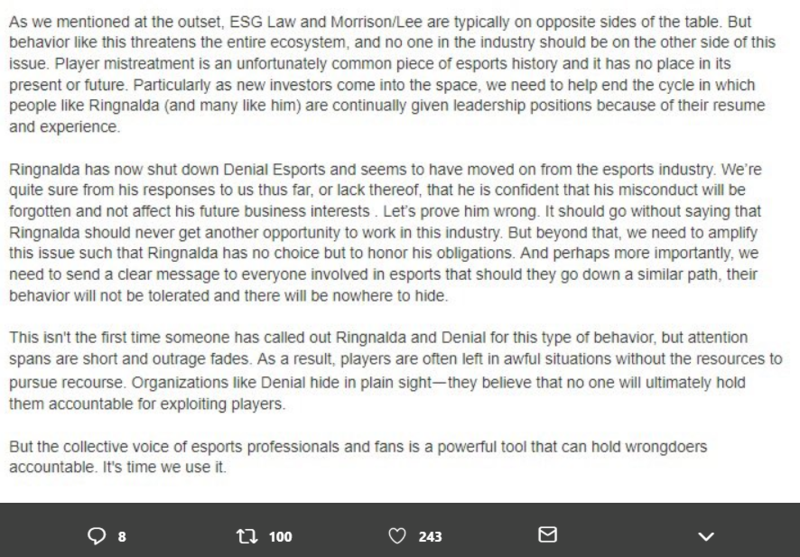 Ringnalda, by his own concession, relied on his door-to-door and car sales experience when creating and managing Denial. 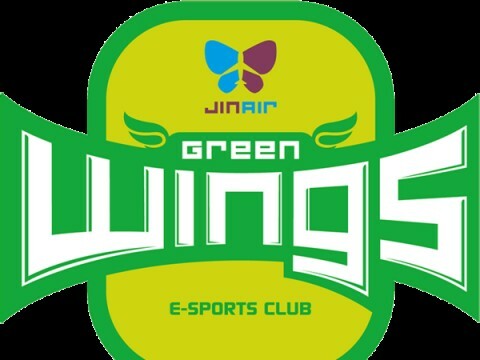 This combined with no formal training and a "learn by doing" mindset has likely made Ringnalda wiser at the detriment of dozens of esports players careers and future aspirations. After all, does a car salesmen really care how smooth the ride stays after his sale leaves the lot? 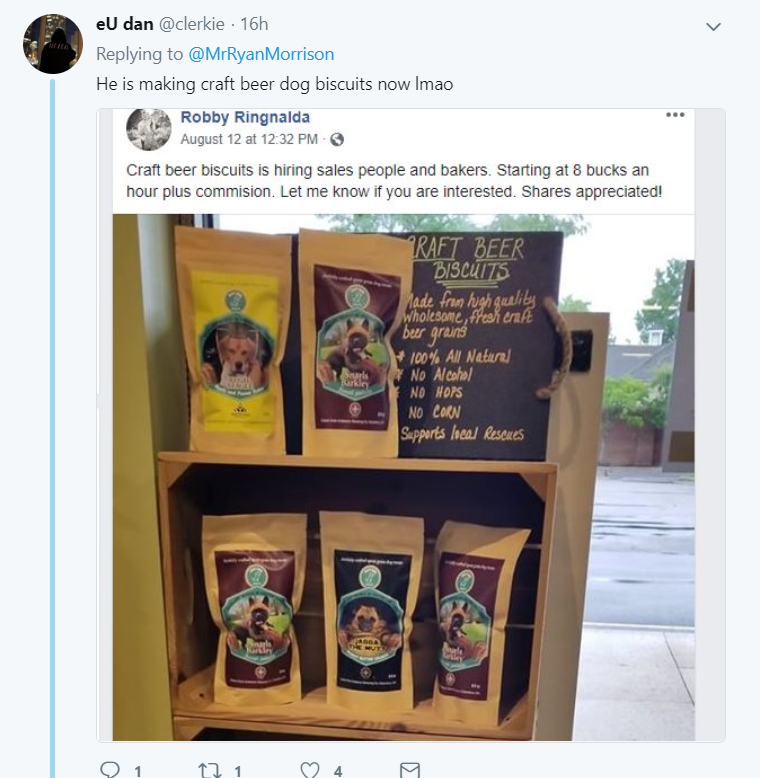 Let's hope the dogs being fed 100% non-alcoholic craft beer biscuits have better luck working with Ringnalda than pro-gamers have.